It is an APA style! My experience with APA style citation. APA style referencing has become an inevitable part of written assignments in my Master`s program study. I remember my first assignment in English for professional purposes when we had to prepare short summaries for different types of sources and referencing them properly. For the end-of-text referencing formatting I spent as much effort and time as I spent for writing the summary itself. It took so much time because the whole world of APA style referencing was unfamiliar to me. There seemed to be so many rules: commas, brackets, italics… I used to open a tab in a http://www.citationmachine.net/ website and filled each field accurately. For in-text referencing I used Online Writing Lab. It may seem strange but I used to start doing my assignments beginning from the very end, I mean, end-of-text referencing. (Previously I allocated less time for formatting the end-of-text referencing than was needed.) I used to list the literature that I was going to cite in my writing in my draft. After that used to cite each source according to the format. In the end I would place all the references in the alphabetical order (an opportunity to recall alphabet:)). Assignment by assignment I was getting more and more comfortable in referencing, though I still have some difficulties with citing secondary sources. 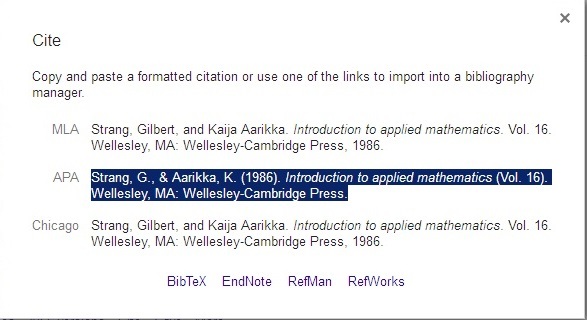 End-of-text referencing became easier when I discovered an automatic tool for creating such citations in Google Scholar. APA style referencing became much “friendlier” for me after one year of practice. Thanks to automatized tools, the process of citing is not so difficult as it used to be. What I can suggest for the future students is to be confident that they will learn to cite approprietly in any case. There are two reasons to be confident: first, instructors will always guide you, give advice and valuable feedback. Second, the automatic tools that are freely available in the Web, will save a lot of time and effort. My professional life has led to some questions about how to become a real and true teacher. Questions such as why education becomes complicated year-by-year, why do people create some ‘techniques’ and ‘methods’ which are sometimes not necessary in the real life and what would be simple ways to explain these concepts to students. I always try to analyze and review my professional experience to find out what the challenges were for me and how I solved those problems. This thought process always leads to the birth of new ideas which are actualized in my classroom. My first year at Nazarbayev University introduced me to the American Psychological Association style (APA). At that time it was an absolutely new and scary technique for me. Previously, I never thought it was necessary to provide the source of information in a study. However, I now understand that it is very valuable practice otherwise it would be considered that you have plagiarized different works without citing the authors. Even after long spell of practice it is still confusing in terms of following the formats but I know that it is quite possible. In my opinion, the APA uniform system has some advantages and disadvantages. Firstly, it needs to clarify for whom it is needed. Audience identification is very important; educators at university ought to known APA or other styles such as MLA, Chicago and so on. In education there is a rule, ‘Publish or perish’, which means your career as an educator will depends on your professional publications. That is why, it important that one knows all techniques in education. However, if you are not professor or researcher I think basic knowledge of APA style formats are enough for application in some assignments at school for a student. My point here is that people should focus on their interest area of study rather that learn by heart all these many rules. To sum up, my three year experience as a teacher without a doubt I will not recommend to anyone the choice of teaching profession as it is a very complicated profession in the whole world. It needs huge number of passion and time to be a real teacher. You need to have universal skills and know different techniques such as APA style. That style needs more than one year to understand them. My advice in this post for future students is always share your personal experience with other students because only your peers could explain to you in a simpler language APA style and not your lecturer. Another advice is more practice; only during the practice you would see the common rules. Thank you and Good luck! I first encountered with writing a paper according to APA style when I was taking some courses at Canadian university. At that time, I did not quite understand why it was so important to use a uniform writing style, such as APA. In my first paper there, I included some citations in the text that did not appear in references. 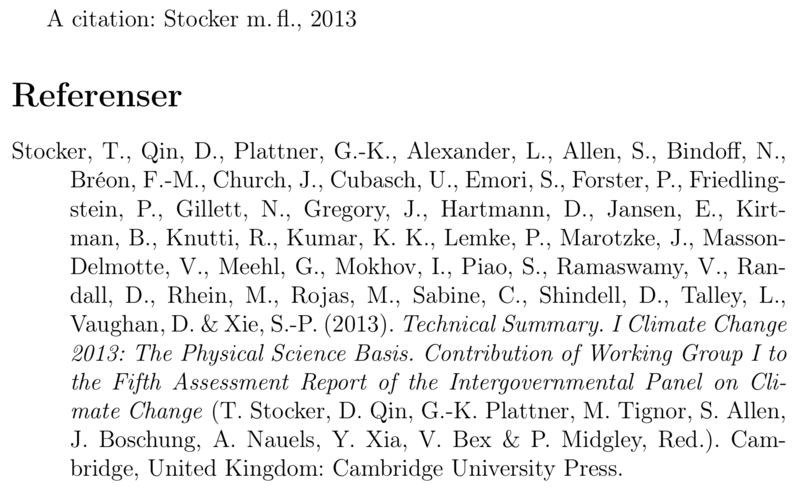 Also, I had some authors in my reference list, which I did not cite at all, or with mistakes in the text itself. It was a total mess. As time passed by, I eventually realized that for a researcher or a student, writing in a uniform system makes one’s findings easy to source and credible. For instance, you may easily track what sources the paper used and read more about that there. To my surprise, when I started tracking for sources, I found that some researchers had citation mistakes in their papers, as well.